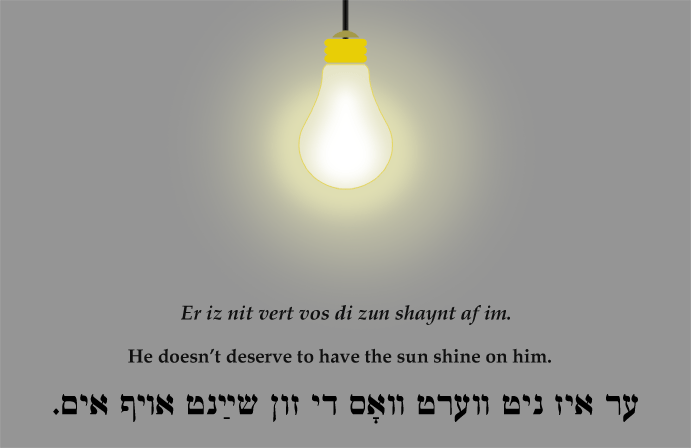 Yiddish Insult: He doesn't deserve to have the sun shine on him. ער איז ניט ווערט וואָס די זון שײַנט אויף אים. Er iz nit vert vos di zun shaynt af im. He doesn't deserve to have the sun shine on him.